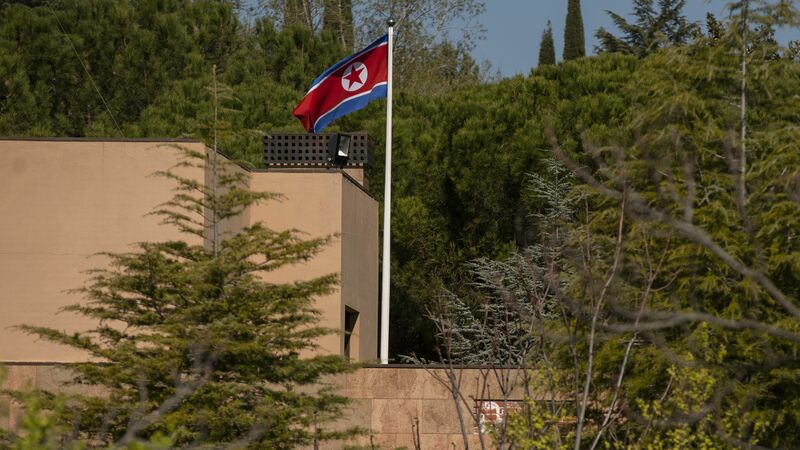 A dissident group accused of a commando-style break-in at the North Korean Embassy in Madrid said Thursday it had suspended operations after a judge issued arrest warrants for 2 suspects believed to be in the U.S. Details: Cheollima Civil Defense, which wants to overthrow North Korean leader Kim Jong-un, said it took the temporary action because of speculative media reports. A Spanish judge issued international warrants for the suspected gang leader, Mexico-born U.S. resident Adrian Hong Chang, and U.S. citizen Sam Ryu, El Pais first reported. The backdrop: The investigating judge said the group contacted the FBI days after the raid to offer stolen data. The U.S. says it had "nothing to do" with the break-in.